Family friendly stone cottage for 6 people situated in a quiet countryside location in the village of Niton, Isle of Wight. The perfect retreat. 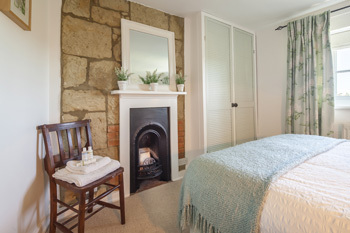 Inspired by the seasons and countryside the beautifully appointed bedrooms’ have sumptuous beds, crisp white bed linen, soft feather pillows and seasonal duvets, towels for each guest and blackout curtain lining in all rooms. 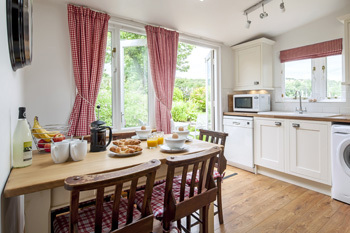 Eat in kitchen breakfast room over looking the back garden with a wealth of kitchen utensils, cosy Rayburn cooker, dishwasher, fridge freezer, washer dryer and matching white china. Comprehensive collection of baby/children's accessories to ease your stay and reduce packing stresses: travel cots, buggy, baby monitor, highchairs, books and games, swings, a slide and a trampoline plus built in stair gates.